What can we say? We’re blushing. 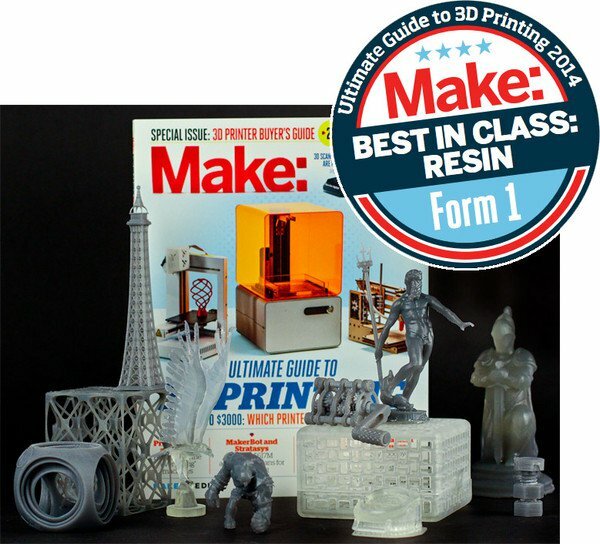 To top it off, they dubbed the Form 1 &ldquo;Best in Class: Resin.&rdquo; For the write-up, head over to Make: Ultimate 3D Printing Round-up.